The professional translation industry is heavily customer-centric, there is a huge variety of market niches catered to across all fields, and the range of disciplines and the speed at which these translations are being delivered is increasing. The demand on professional translation agencies to compete on their service offerings and more importantly their speed of delivery is high. Machine translation (MT) is viewed as an integral tool for producing fast and reliable translations, but does this compromise the quality? Google and Bing Translate are two of the most common statistical based forms of MT that the wider market has exposure to, however these are not used in professional circles. Companies can purchase off the shelf software or have a form of customized software adapted to their needs, these are often cloud based now too. A key way that MT enables faster translations is by automating the consistency of a translation project. 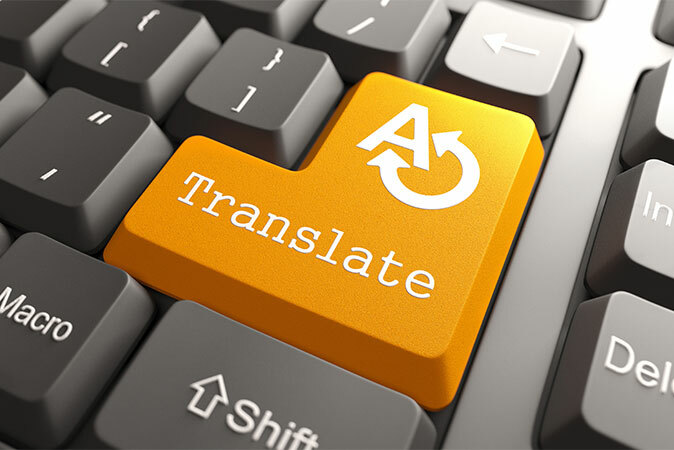 By using translation memory software, teams of translators working on technical projects can ensure that terminology use is consistent throughout and a glossary of correct terms is always used. MT enables very large projects to be tackled at a much faster rate by translating the first wave of content in a machine then using a human translator to proof the final copy. This is an increasingly common technique that is fast but also more cost effective for customers. Trained MT engines are tailored to specific company practices and can identify industry and company relevant terms consistently, enabling reliable and also more efficient results. Machine translation is now an increasingly common tool that professionals turn to in certain situations. The technology is not at a level to supersede human translation methods, however at this point in time the benefits are speed and consistency-related, for both agencies and the end customer.